Explore, create and learn on a Half Term Monday morning at Lancaster University. 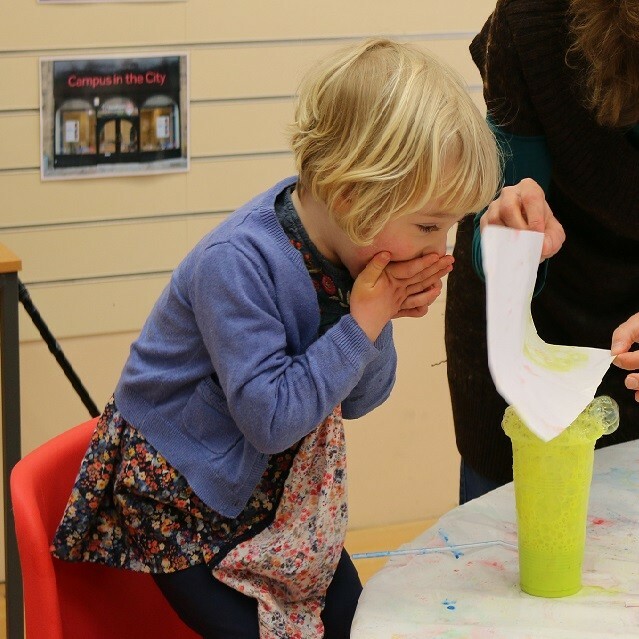 Come along to our Festival of Questions MESSY GALLERY for a fun filled morning of creative craft activities. Explore different ways of making art. Create new things with your family. This half term we will be exploring global warming in an fun and interactive way! Inspired by children’s Theatre show Breaking The Ice (Tuesday 16th February) come and learn and play with snow and crafts and get messy in the Peter Scott Gallery. This Messy Gallery is part of Lancaster Arts' Festival of Questions. For families with children aged 0-5 years.